Smilegate Megaport, the mobile development arm of Smilegate which has become popularly known for CrossFire among other distinguished video game titles, recently released Epic Seven, an anime-themed turn-based RPG that has captivated hundreds of thousands of players in just a matter of days following its global launch. If you are a fan of classic RPGs with indulging storylines, astonishing characters, and over-the-top anime art style and epic visual effects, then this might be the game you are looking to spend all those gaming time on. Epic seven is not your usual grind and level up type of game as it boasts loads of new yet familiar game modes as well as never before seen character development and enhancement mechanics. Prepare yourself for hours after hours of addictive gameplay as Epic Seven takes you on one epic fantasy journey you may not soon forget. Epic Seven puts you in the fantasy world of Orbis that followed a never-ending cycle of destruction and rebirth. As you gather heroes for your adventure, you choose for the best ones to form part of your team to take on a wide variety of monsters and other characters as well. As the next set of battles that await you grow more challenging, you strengthen your heroes through a variety of ways with the goal of putting an end to the archdemon that threatens the very existence of your world. As you explore the vast world of Epic Seven, more game modes and features become available to you and your heroes. You can unlock structures in the sanctuary to further help you in your journey and even send groups of heroes to earn experience and some rewards. You can also test your team’s prowess in the arena and compete against thousands of players as well as NPC teams. With the vast content and features the game has to offer on character and team development alone, you will come to discover that no two players will have the exact same team strength and composition, making way for broader strategic options that you can possibly work on. Role-playing game enthusiasts and new players alike will surely be able to easily follow the simple tutorial that Epic Seven provides. The battle controls and interface as very straightforward and easy to get accustomed to. It may be a bit daunting for some to grasp everything on the first go but then there are several battles to engage in to practice every bit of detail the tutorial provides and effectively use each function in battle. As more content becomes available as you progress through the story, a quick tutorial walks you through the first use of the feature or game mode step by step and even provides a brief description of what it does and how it benefits you. As it may become a challenge to identify which of the various contents and features you may want to focus or spend more time on, our Epic Seven beginner’s guide can help you organize your actions and strengthen your characters and teams to dominate battles you engage in. There may not be a lot of choices available for you when you are just starting to play Epic Seven but just after several battles in the first chapter of the story mode, which is still practically an introductory chapter, you will already have access to gaining powerful ones to add to your roster. There is definitely no such thing as a perfect team but what you will aim for is to have a team that can be strong against most other teams not just against monster hordes but other players in the arena as well. With several factors you should consider, it may seem overwhelming at first, but taking time to sort this out early can heavily impact your every succeeding battle. The first thing you would want to have is a team with different classes and specialties, much like in any other RPG. For starters you can have a Knight for the front row, a Mage, Warrior, Thief, or Ranger for the middle row and finally, a Soul Weaver for the back row. As the front row character takes most of the damage in battle, Knights like your starting character Ras are the most suitable candidate for this position as this class has the highest defense ratings in the game. Soul Weavers are equally important as well as they provide buffs to the team as well as healing capabilities. For the rest, that may depend on some other factors we need to consider relative to your general strategy and preferences as well as these classes can either do more damage or crowd control as well as boost themselves or their allies. Be sure to read through each character’s skills and this is especially important when choosing the best character from among several heroes under the same class. While the game aims to provide a good balance across all heroes, it can be said that some are better focused on their jobs, so one Knight may serve as a better tank than the other although the other has a more damaging skill. What you would want to have is a team of heroes each best for his or her role for the entire party. Last but definitely not the least; you should also consider each hero’s elemental affinity as this brings its own advantages and disadvantages in battle. Following the rock paper scissors mechanics common in most RPGs and games that involve group battles, the basic elements of fire, earth, and water work in such a way that fire is strong against earth but is weak against water, earth is strong against water but is weak to fire, and water is strong against fire but weak against earth. Light and dark are special elements that are neither strong nor weak against any element. With this in mind, you should have at least two of the basic elements in your team so if you encounter enemies who are strong against one of the elements you have in your team, the other member or members will be advantageous over them and may even take them out before they cause big damage. On the other hand, having a team full of fire element heroes will not do very well against an opposing team full of water elements. As the main attraction of the game, Epic Seven boasts a very immersive and engaging storyline complete with quality anime cut scenes that will want you go on farther through to the end. As this is where you will be introduced to a variety of new items, additional characters (that will probably serve as boosters), gears, and even gold, making progress in the story mode will be your key to unlocking additional features and game modes that will form part of your daily in-game activities later on. On top of some loot you can grab when playing here, completing each section gives you a reward as well. You can also get additional rewards based on the star rankings you get after finishing each section and a special bonus when you complete the entire chapter. While running auto-battle is a good way to go, keep in mind that doing so will not net you boosts, health restores, and treasure chests you pass by along the way so it is best to still pay attention as your characters are running from one area to the next and tap on treasure chests and other important items along the way. Additionally, damage you received at the end of each section will be retained and it may take a few minutes for the hero to fully restore his or her health. You can pay gold though to instantly replenish health. After choosing the stage you will play in, be sure to select a player supporter as this will later earn you friendship points which serves as a special currency you can exchange for items. Pay attention to the elemental affinities of enemies to determine how advantageous or disadvantageous your team is; obtainable rewards so you can replay the stage later if you need to farm a specific character or equipment; and the star-rating requirements so you can make necessary adjustments to your team if possible to obtain all 3 stars on your first go. Be sure to keep an eye out for your team’s morale as well as having a negative one will be disadvantageous to your team. You can camp out once every stage to raise a bit of morale as well as increase friendship levels from each teammate. There are several benefits and never any downsides to being part of a guild in any game. It’s no question that you should always be a part of one and more importantly, the sooner you join a guild the sooner you will reap the rewards from it. As merely checking in on your guild already rewards you with brave crests and gold, depending on the number of members who are active, there are weekly missions available as well for the whole guild to try and achieve for all members to earn great rewards. As such, be sure to be active in your guild and provide aid and donation whenever you can to ensure a steady growth of the guild which in turn contributes to your growth as well. Be sure to apply for active guilds as well. With each battle your heroes go through they will earn experience points and level up accordingly up to a certain limit. 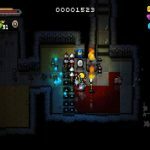 As you progress through the game you may generally consider hero levels as gauges to determine whether you are strong enough to take on the opponents on an upcoming battle. Sometimes though it may still become a big challenge even if you are a couple of levels ahead of the enemy team and that is the time to consider enhancing your heroes more. 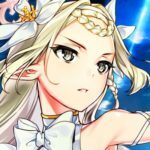 There are numerous ways for you to improve your heroes in Epic Seven and that is where opportunities lie as well in making each hero even more unique following your team’s general build and battle strategy. The most basic enhancement comes when you raise your hero’s level by “feeding” some cards to him or her to level up faster. For this purpose, however, you may want to use the Penguin characters you have as they boost experience more than the rest of the characters. You can only level each hero up within the limits of his or her star rank. As you most probably should consider at least 3-star heroes for enhancement, the level limit for this rank is 30. An additional 10 levels is added to the level cap per 1 additional star rank, which comes down to our next enhancement stage. Once a hero reaches maximum level, you will now have to promote that hero for it to continue gaining experience and levels. This can be done through promotion, which requires you to sacrifice similarly ranked characters for the hero to go up the next rank. For example, ranking up a level 20 2-star character requires sacrificing two 2-star characters. The maximum star rank is 6 stars, which mans you need to sacrifice five 5-star characters on a level 50 5-star hero. Be sure to check your heroes’ equipment too and every gear slot that is not faded means there’s an item available for you to equip on that slot. If you don’t have a lot of equipment, you may want to revisit some previously beaten stages in story mode and try to acquire more of the equipment you need. Each piece of equipment can be upgraded as well by sacrificing similar types of equipment to increase its level. Be sure that each of your heroes has an artifact equipped as well and you should read through what each artifact can do to determine which one in your inventory is best for which hero. Awakening is also an enhancement option that requires the use of elemental runes to activate. Each hero can be awakened as many times as that hero’s star rank provided that you have the required number of elemental runes for that hero to complete each awakening. With each stage of awakening completed the stats and skills of the hero increases in power. Each skill can be upgraded as well using MolaGora which is very difficult to acquire but can be bought from the shop using Silver Transmit Stones and the latter can only be acquired by transmitting (disposing) 3-star characters in your roster. Epic Seven’s Battle Mode offers a wide variety of game modes where you can acquire a lot of much needed resources that are difficult to acquire elsewhere. The Spirit Altar is where you can acquire runes needed to awaken your heroes. A different element is open every weekday but you can go through each during weekends. There are no attempt limits here but it consumes energy. The Abyss is a Progression Tower where you battle through one floor after another for some awesome rewards. You have 3 attempts per day to climb up the tower. Once conquered, you can proceed to the next floor but if you are unable to beat the current floor, your attempt will be returned and you can instead purify the last floor you defeated and earn stigma and gold. In the Hunt, you can choose from one of three dungeons for crafting materials for equipment at the Steel Workshop. For best results, visit the workshop first to determine the ingredients you need for the equipment you want to craft. Like the Spirit Altar, you can run through it as many times as you wish as long as you have sufficient energy. If you enjoy exploring the maze stages in story mode, then the Labyrinth in Battle Mode will be a great venue for you to continue on with exploration. You get three attempts daily to make runs in the Labyrinth and earn some equipment as well as some ancient coins that can be used for purchasing special items. The Sanctuary is where a variety of structures become available as you progress through the game. It provides some great rewards over time and each structure can be upgraded to boost the rewards you can get. One of the most basic structures in the Sanctuary is the Heart of Orbis which generates gold and skystone. Initially it takes 4 hours to complete the resource generation and you must claim the reward before it can generate again. The Forest of Souls is much like a breeding hall for creatures you can use to boost the growth of your characters. The High Command is where you can send a group of heroes on a mission for experience and gold. In here, you can send the heroes that you are using on your main team along with others on your roster. It costs energy, the amount of which is dependent on the mission level requirement. Only one hero per group needs to satisfy the mission level requirement here so you can utilize this to level up heroes you aren’t using yet on your team. Lastly, the Steel Workshop is where you can craft a wide variety of equipment for your heroes and requires materials you need to gather from Hunts in the Battle Mode. You spend gold as well when crafting equipment here and there are probabilities of acquiring higher rarity gear depending on improvements done to the workshop. Epic Seven’s PvP Arena is where you can do battle with some NPC teams as well as teams of other players. You can earn Conquest Points and Skystones from defeating NPC teams and exclusively earn Conquest Points for defeating other players. Battles in the arena are not real-time but it gives you the advantage of being able to manually control your team, which means you can focus on eliminating the biggest threat in the opponent’s team and more strategically use your heroes’ abilities. There are additional rewards you can earn from the arena every week as well as at the end of each season. This means that your effort daily to participate and win battles can potentially earn you even more rewards later on. Be sure to update your defense roster when you need to especially when you have changes made on your team’s roster. On top of the free daily Covenant Summon and the additional summons you can perform using Covenant Bookmarks and Friendship Bookmarks, you can also acquire additional heroes through Connections. You can see one of the Heroes you can get from Connections seated on the other table on the main screen. Tap the hero to see the full list of characters you can get as well as the requirements you need to satisfy to get them. You need to progress Story Mode to unlock more characters here. Higher star-ranked characters will naturally have more difficult conditions to satisfy. Aside from the regular shop and the traders you meet from your quests, you will also have a Secret Shop at the bar on the main screen. You can level this shop up as well by spending gold as long as you also meet the account level requirements for the upgrade. Each upgrade improves the Secret Shop’s merchandise. Be sure to check the items for sale here as there may be relatively cheap ones you need that are difficult to acquire from other sources. Milestones you achieve by playing through the game are rewarded again through Reputation. Whenever you see a red dot on this icon, be sure to claim the rewards you have earned as it is always better to get rewards sooner than later. Be sure to also check here from time to time to see which requirements can easily be achieved. On top of the immediate rewards you get here, earning enough points can increase your Reputation Grade and unlock buffs for you and your heroes. Daily login rewards, free energy, as well as event gifts go into your mail so check it regularly to claim these rewards. Each reward can only stay here for 6 days so be sure to claim each one before it disappears forever. If you are an avid mobile RPG fan and played enough games that make use of the gacha system in acquiring heroes, then you should already be familiar with this cheat to start your game with an edge over most players. This basically works around the idea that if you don’t get one of the best possible outcomes from the starting draw of characters, then you wipe everything out and start over. Compared to most games though, this works more favourably in Epic Seven. Finishing the first chapter of the Story Mode will give you a free Selective Summons where you get 9 random heroes or artifacts from the Covenant Summon. As the results are random, you can get a 5-star hero or a 5-star artifact from here. If you don’t like what you get, you can do a re-roll until you are happy with the results. So basically, not getting the 5-star hero or artifact that you want here after 30 re-rolls means going for a reset and starting over. If you do get the 5-star hero you want to keep, you can also use your earned Covenant Bookmarks to summon heroes and hope to get another 5-star hero or artifact. Once you decide that you want to do a reset, Click on your account avatar on the upper left of the screen, click the settings button and hit reset. Your account will then be wiped and you will start over. You can do this as many times as you wish to get the best starting characters you want. It may take a lot of patience and time, but it will be very well worth it! There are a lot of things to explore in Epic Seven and we certainly hope we fairly covered everything you need to get started with right here. Hopefully, you were able to read our Epic Seven guide before progressing that far in the game. If you were able to go through each of the tips, tricks, and strategies we shared here, we are confident that you can breeze through faster in the story and rake in a lot of wins in the arena. 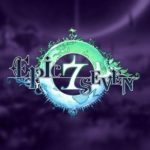 You may have read this all and realized that we missed something you discovered in Epic Seven. If so, please let us know in the comment section below!